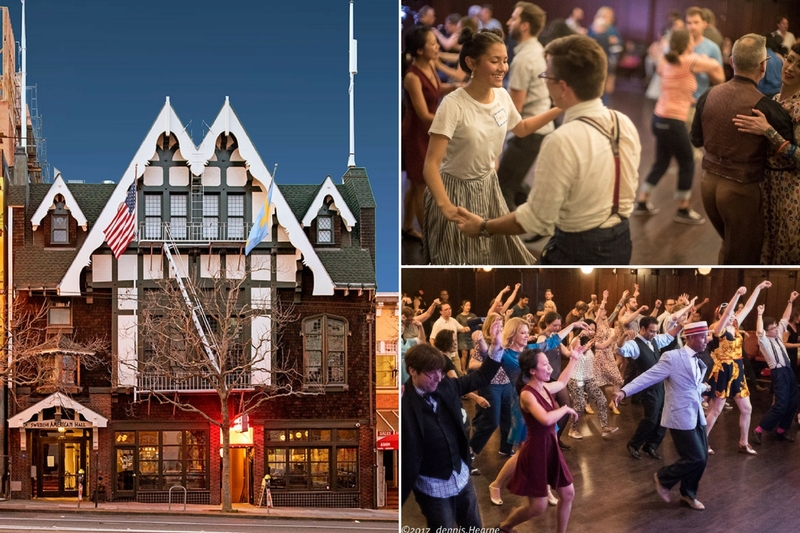 Enjoy swing dancing, live music, cocktails and great classes at our swanky new spot conveniently located on Market Street, SF! With different bands each week, you'll always have fresh inspiration for dancing! Featuring SF's finest musicians playing a variety of styles ranging through early trad jazz, classic Big Band, Blues, soulful R&amp;B, and funky New Orleans Rhythms. Drop-in for our fun and friendly Beginning East Coast Swing Lesson at 9pm (no partner or experience needed) , or get more serious and join one of our monthly Lindy Hop or elective classes and grow as a dancer. Meet fun people and share your enjoyment of good music, dancing, conversations over cocktails and creative partyism! 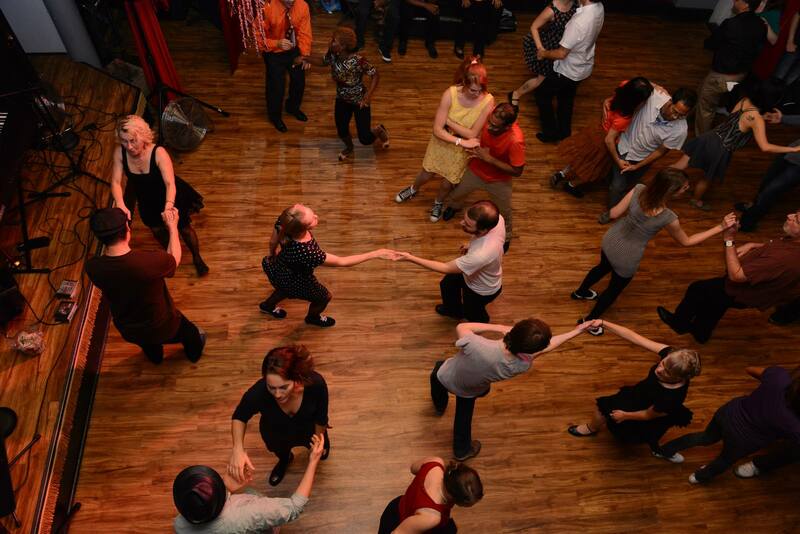 Swing, Lindy Hop, Balboa, Charleston, Blues, Jazz and so much more! New 4-week session of Lindy Hop classes starts May 1st! Sign up online and save $15 or more! Nothing from April 26, 2019 to June 26, 2019. 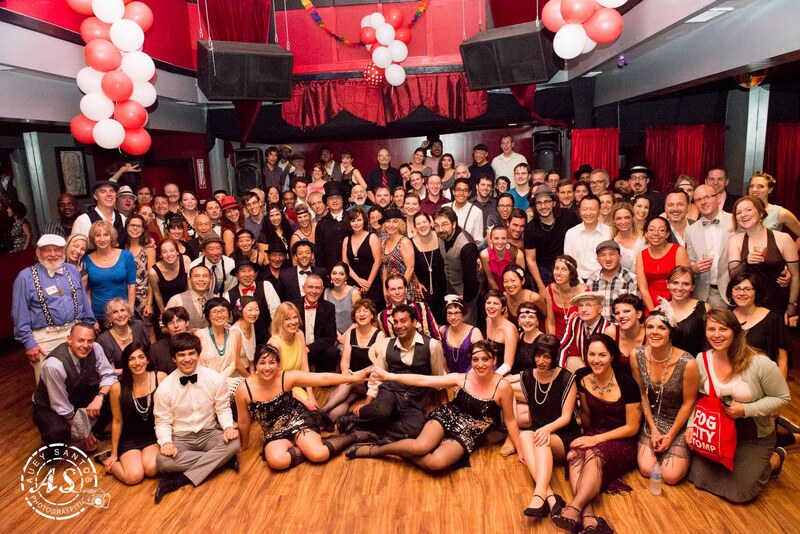 Cats Corner is the Wednesday Night Swing Dance Party in San Francisco that features monthly and weekly swing & Lindy Hop classes, live swing music every week with rotating bands and cocktail bar so you can enjoy drinks and socialize between dances. 9:30PM – midnight. DJ band break 10:30-11pm. $10 general admission. $5 before 9PM and after 11PM. Sunday, April 28, 7-10pm at Mission Bowling Club, SF. It’s Simple. 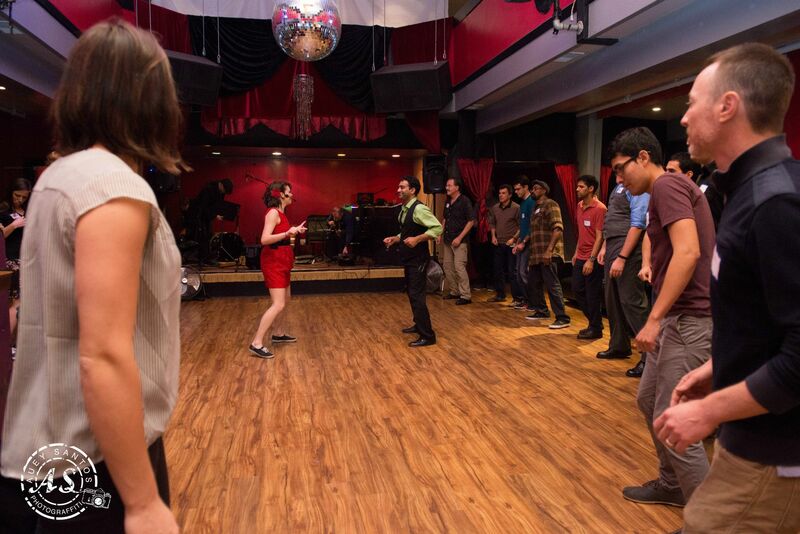 Swing Dancing + Bowling = Lindy Bowl! Wed., April 24th: Dance party at Local Edition with Steve Lucky & the Rhumba Bums (Swedish American Hall closed this week). 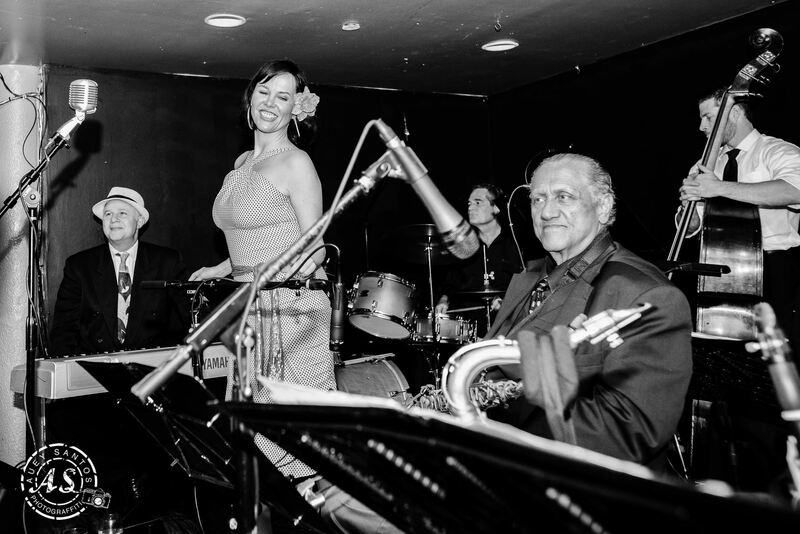 Cat's Corner invites you to dance and party with us at Local Edition Bar (691 Market Street, SF) this week where one of our favorite bands Steve Lucky & the Rhumba Bums is playing for dancers 8 PM - midnight! Note: there are no classes this week. Join us for a blues infused night of swing dancing and cocktails at Cat's Corner!Dress-to-impress...and wear something BLUE! I've danced at swing clubs all around the world, and Cat's Corner is one of the best. Great environment, great people and great music. Cat's Corner has been a fun learning experience so far, and I look forward to taking several more months of classes here. I've been telling my friends all about it!